Carb fear in America is a very real phenomenon. "We're becoming a country that is starting to fear carbohydrates in the same way we did fat," says certified nutritionist and health guru Dana James. Whereas 25 years ago, skim milk and low-fat foods were on everyone's grocery list, now we're obsessed with all things gluten-free and ketogenic. Personally, I know at least half a dozen people who will eat a nine-ounce serving of steak but won't touch a dinner roll. We've come to believe that carbs are the enemy of fitness and that as long as we avoid them, we're doing the right thing. But according to James as well as Stephanie Taibe, a nutritionist at Find Your Trainer, putting a global ban on carbs is misguided. In short, you don't need to cut out carbs. Actually, avoiding them altogether could be your biggest diet mistake. Want to know the truth about carbs once and for all? Keep scrolling to find out. Let's start with the basics. If carbs aren't the enemy, then remind us: What are they? "Carbohydrates, fats, and proteins are all macronutrients found in food that break down in the body," Taibe explains. People fear carbs because we're simply told that they contribute to weight gain, but according to Taibe, what many fail to realize is that carbs are everywhere, even in fruits and vegetables. If you avoid carbs entirely, you might be missing out on essential sources of fiber, vitamins, and energy. "It's not a macronutrient to be afraid of," Taibe says. As for the carbs' true effects on our bodies, think about it this way: Carb-phobia has encouraged many of us to reach for foods marketed as "low-carb" and "gluten-free." These foods often use fat as the filler, says James. For example, "low-carb, gluten-free bread (aka Paleo bread) is made with almond flour or coconut flour with about the same amount of calories, which still count," she says. "I've worked with various women whom I've told to add carbs back into their diet to stimulate fat loss because they've been carb-deprived for months!" In other words, nixing carbs from your diet altogether is not a sustainable get-healthy strategy. If you crave fruit, bread, or pasta, don't reach for the version marketed as "low-carb." As long as you're eating in moderation, it's better just to have the real thing. If you're still not convinced, look at it like this: "Carbs are important because they translate as energy," Taibe says. "This is important post-workout, for example. Carbs are necessary to restore and replenish." That is to say, if you're depriving yourself of carbs, odds are you're deprived of energy. This means you are more likely to use caffeine to perk yourself up. Needless to say, replacing food with coffee and Diet Coke is not sustainable. "When you need substantial energy that will last, reach for carbs," says Taibe. That said, if you binge on carbohydrates, icky results can follow (just as if you were to binge on meat or cheese or anything else). "If you eat too much bread, pasta, cereal, and bagels, you are likely to gain weight," says James. Excess carbs do ultimately convert to fat. But it's important to distinguish whole carbohydrates from processed carbs. "Blue potatoes, quinoa, and chickpeas (which are more carb than protein) are different than bread, cakes, and cookies," James explains. The former, which are whole carbs, provide your body with vital nutrients like magnesium, anthocyanins, zinc, and iron. The latter, which are processed carbs, rob your body of nutrients. They also often contain heaps of refined sugar and salt. If you're truly concerned about the way your body looks and feels, hyperprocessed foods, not carbs, should be on your list of what not to eat. Ultimately, James sums it all up like this: "There's an art to carbs." If you eat the right amounts of the right kind, you will look and feel amazing. If you eat too much, especially of the icky processed kind, the opposite will likely occur. But the word carbs should not be a dirty one. Carbohydrates in and of themselves will not make derail your fitness. So go ahead—have that roll from the bread basket before your salad comes. 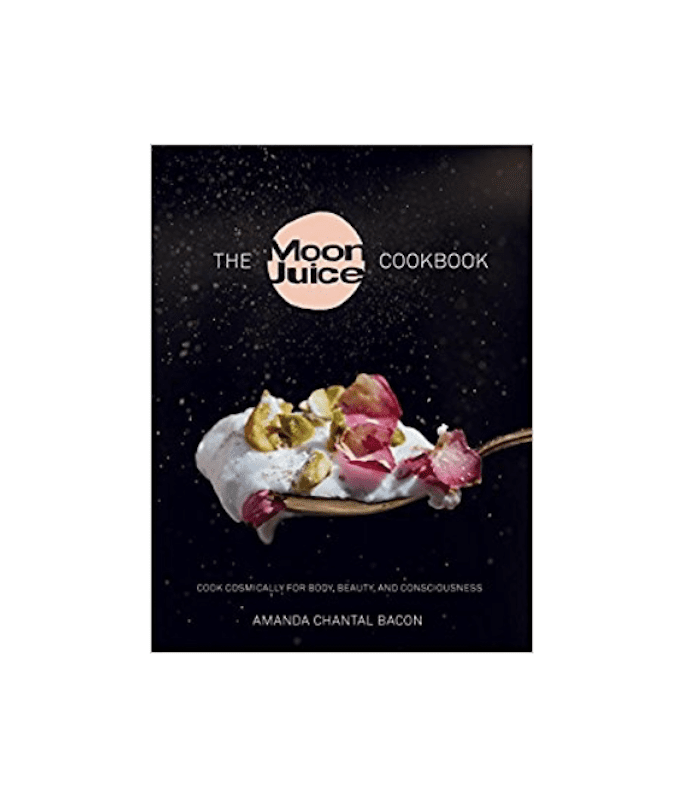 Prepare your carbs the right way with the Moon Juice cookbook below. Want proof that you can eat carbs and still get in shape? Read one editor's personal story!